Move over Berrow’s Worcester Journal – a new claimant has emerged for the title of World’s Oldest Newspaper. And with a founding date of 1057, nine years before William the Conqueror set sail for Hastings, the Helensburgh Advertiser would seem to have the title wrapped up. 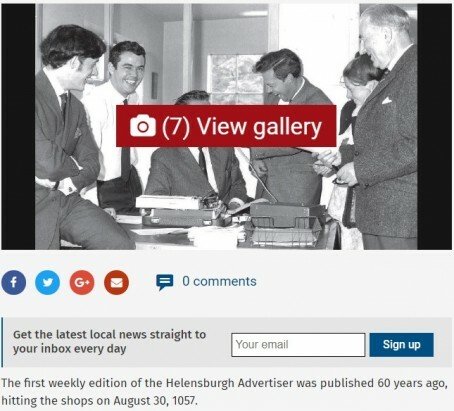 Unfortunately, the Advertiser was actually founded in 1957, with the erroneous date appearing in a piece marking its 60th anniversary last month. The story has now been corrected online to reflect the true launch date.